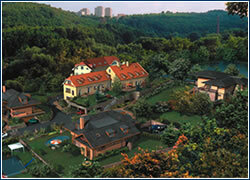 With commercial, residential, and diplomatic nuances, Prague 6 boasts a population of 137,000. And at over 59 km2, including the 25 km2 Šárka nature reserve, it rivals some of the country’s regional cities in size. 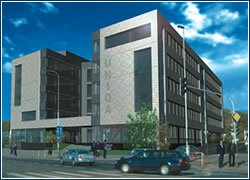 “THE LOCATION is historically a very prestigious address, with lots of greenery and a convenient positioning – close to the airport as well as the city,” sums up Pavel Klimeš, development director for Orco Property Group, one of dozens of residential developers who have been active in Prague 6. On the district’s outer edge, the Prague-Ruzyně airport and its scheduled growth is a boon to the commercial success of the district. The Terminal 2 extension project is one of the most important construction developments in the country. The CZK 10 billion project to meet the needs of EU-Schengen travel will almost double capacity to 10 million passengers annually. On the district’s inner edge, Vítězné náměstí, with its radial street pattern, the effort of first republic architect Bedřich Engel, is one of the busiest hubs in the city. Sekyra Group’s involvement since the beginning of the year at this exact location is a strong sign of faith in the area: Dejvice Center is the largest single-phase development in the city. ” Vítězné náměstí is a natural hub of Prague 6, a unique point that provides direct access to the airport via Evropská,” says Sekyra Group development director Leoš Anderle. According to him, regulations from the Engel era dictated a footprint for future urban development in Dejvice that is still being realized; the municipality’s current effort to find a co-investor for a lot on the north side of Vítězné náměstí is one example. It’s no surprise, then, that Evropská has seen commercial success. Companies such as Siemens, Sun Microsystems, Olympus, and Abbott Laboratories have all located there. Nevertheless, few would argue that it’s a typical business district. “It is mainly a residential, college and embassy district, but the Evropská corridor is an open and emerging area with a lot of potential, and it will continue to fill commercially,” says Radek Pokorný, managing director of Agana, which is working jointly with Czech Koal on an office scheme near the Diplomat Hotel. Developers also point out other planned infrastructural improvements that will benefit the district, include movement of the rail line and a high-speed train linking the airport to the city center. Perhaps the only problem left is land. 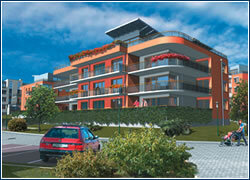 “For developers, it is a very attractive location since the limited supply of land here increases its price. There is almost no availability with the exception of Nebušice and the Přední Kopanina area, so it is believed that future investment will be directed to these locations,” notes Klimeš. While many residential developers opt for a sound marketing plan and bank on Prague 6 or the city center to guarantee sales for their projects, developers like AT Development take a decidedly different approach. THEIR RECENTLY completed project Na Zemance, the 10th by AT Development in Prague, is a good example. It completely sold out by the time it finished at prices of CZK 40,000 to CZK 70,000 per m2 with no advertising – and their project is in Prague 4. It’s fair to say that the developer prefers Prague 4, carefully choosing streets with natural benefits, often in villa districts with hills and plenty of greenery such as Podolí and Bráník. All of the company’s projects in the district have won honours in architectural competions. For Na Zemance, the company’s director, Petr Šimek, gave the designers at Šafer Hájek Architects, with whom he built up a strong cooperation over six projects, creative reign. Large windows, colour accents, varied facade planes, balconies, and high-quality materials all play a part. The ground level is pre-bolstered with extra security. Access to other units, 37 in all, is easy thanks to three staircases with lifts. There’s underground parking for 55 cars, with two parking lots out front. All of this proves the adage often told by local agents – that if you build a quality offering in a good location, you will easily sell. The developer’s 11th project will start nearby in September. »A shop assistant in the Prior department store as a student. My favorite goods to sell were hockey sticks. How did you get involved with banking, first, and, later, with real estate banking? »First and later was the same – as a real estate banker. I was working with a developer and I switched sides when I got an offer from the bank that had financed my last project. Do you deal more with Czech people or foreigners in daily worklife? »Equally. I have days when I’m more with foreigners, and days when I’m more with Czechs. My boss and boss’s boss are foreigners, while most people in my division are Czechs. »That you literally create an environment in which people live. You can improve the quality of their lives substantially. »In business and private life generally, I do not like people who break their word. What do you think will be the next area or segment to develop in Prague? 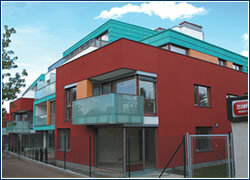 »What should develop better is the quality of residential projects in Prague. Standards still don’t correspond with price levels – pricing is driven by location. »No. I keep some limits, such as avoiding the office during weekends and holidays. What is your favorite pastime/recreation/hobby? »Listening to music, tasting wine, and traveling. »Le Bistrot de Marlene. Their new wine list is remarkable.